money | Glenn Berger, Ph.D.
One of the great thrills of existence is that there is an endless amount to learn. I recently wrote a blog post predicting that as baby boomers entered the last third of their life there would be a resurgence of the 60’s values that many held in their youth. I was excited to discover that I was not alone in this hope. 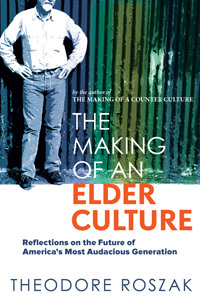 Dr. Theodore Roszak, famous for his culture-defining 1968 work, The Making of a Counterculture, and as a leading proponent of ecopsychology, has written a book on this very topic called The Making of an Elder Culture , published by New Society Publishers. It has been a joy to read this book and become familiar with the work of Dr. Rosjak (who I am embarrassed to admit I was not familiar with — there’s that joy of new discovery!). This 76-year-old maintains and embodies the spirit that he writes about. He writes with a vigor and an idealism of a person one-third his age. In his latest book Rosjak makes a compelling case that as the baby boomers live for decades past 65, they will reengage with their original, countercultural values and take a leadership role in making the world a better, fairer place. Roszak sees the baby boom generation as the leading edge of a profound change in demographics that will dominate world culture for the foreseeable future. The combination of lowering birth rates and longevity will make the world an older, and hopefully, wiser place. The 60’s were a time when we believed that if we raised individual consciousness we could change the world. Dr. Roszak agress with the Confucian concept that we cannot “pull the shoots.” That is, we must respect nature’s rate of growth and change. There is nothing, he asserts, that has the potential to raise consciousness like aging. When vast numbers of people live into their 90’s and beyond, their values will shape our world. We will become a world that prioritizes wellness, sustainable living, and learning. The values of consumption and growth for growth’s sake will give way to a world where mutual care will be of utmost concern. He lays down a challenge for this aging generation. He says that, “Theirs must be a noble, far-sighted cause. They must be the spearhead of a compassionate economy that spreads its benefits to everyone.” He has the audacity to propose an optimistic world vision that results in a healthy relationship with the places we live and our broader environment, and leads to a spiritual realization. Discovering the works of Roszak has particular meaning for me because I am a proud member of the Radical Passe. The values of the counterculture have stuck with me through the decades of narcissism, greed and fear. It isn’t just the ’60’s that have had a sustained appeal for me. I’m a fan of a whole world of thought that flowered with romanticism in 19th century Europe and passed on into a coma in 1980 with the election of Ronald Reagan. This was a tradition of humanism. It included the belief that the unexamined life was not worth living. It questioned the alienating values of industrial capitalism. Its religion was love. This tradition included Carl Jung, John Lennon and Ralph Waldo Emerson. It brought us the art films from Jean Renoir to Vittorio De Sica. We believed in the experiential educational principles of John Dewey and the therapy of Fritz Perls. It was based on the belief that there was something better to life than the world we inherited: that money, stuff and fitting in were not life’s ultimate goals and something “more” was worth fighting for. Unfortunately, since this scene is mostly passed and not comprehended by most, my heroes are mostly dead. Ashley Montagu, Erich Fromm, Confucius and Tolstoy are all gone. (There are a few exceptions, including Harville Hendrix and some of my personal teachers who are not so well known). So I sometimes feel a little lonely at this end of the philosophical spectrum. This has increased my joy at discovering Roszak. 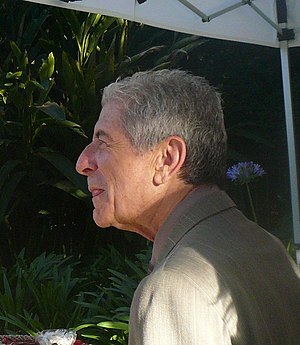 Here’s a guy who is alive and whose thought and life I can admire. Here’s an invite, Theodore. How would you like to take on another piece of your “eldering” role? I’d love to add you to my mentor list. Statistics like 10% unemployment and reports of 50% pay cuts barely capture the pain and anxiety that so many of us are experiencing in today’s struggling economy. How can we get through this rough period and also figure out how to succeed in such troubling times? How can we set the economic ship of the world on a course that minimizes this kind of distress in the future? In order to find the solution we need to understand how we got here and what is presently going on. Much has been said about the technicalities of toxic assets, the lack of regulation on exotic investment instruments and other incomprehensible economic arcana. Some has been said about a culture of short-term gain and greed run amok. 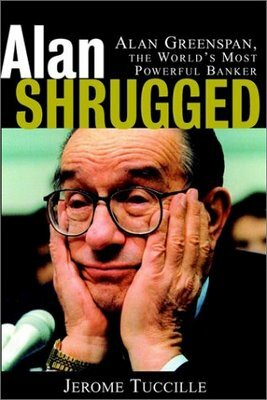 Even a free market devotee like Alan Greenspan has had to admit that the market did not do its magic of self-regulating to the best possible outcome. How did this happen? How did we get to a place where very smart people acted against their own interests? Are people dumb or evil? 2300 years ago the people of China found themselves in a similar situation. The world’s greatest Sage, a man named Mencius (Men-shus), devoted his life to understanding how things could go so wrong in a society and what to do about it. Observing nature, he recognized that there were laws by which the universe operated. Following what he observed in agriculture, if you understood and followed these laws of cultivation, you could increase your yield dramatically. If you went against them, nothing would grow. He called these laws the heavenly mandate, and applied this principle to politics. If leaders followed the heavenly mandate, that is the laws of nature and human nature, people would have peace, happiness and abundance. If leaders lived against this law, there would be discord, economic distress, anxiety and depression. If we believe what Mencius says, it means that we are in this economic pickle because those in control of the levers of the economy have been living against natural law, and against human nature. Mencius believed that just as our eyes know the beautiful, it is our heart that knows the good, and so it is the faculty of the heart that can judge whether we are living in harmony with the heavenly mandate. When we do not realize that we are living against these principles, it means that we have a lost heart. Another way of saying this is that we have lost touch with our common sense, which was also considered throughout history to reside in the heart. This is based on the humanist belief that we are not stupid or evil. Rather, we all have a basic sense of the good and the right, if we can only access it. Our troubled bi-polar economy, manic one moment and depressed the next, is a measure of the extent to which we live in a lost-hearted culture. How have we been living against those laws? As Mencius understood then, and as all ancient peoples understood, simply getting the greatest yield, or amassing the greatest amount of wealth, does not mean that you are following the laws of cultivation. These laws have an ecology, an interdependence between all things that require balance and harmony and a consideration of the long view above all else. Nature tells us that rather than an economy that is geared to making the most money for the smallest number, it needs to provide the maximum well being for the greatest numbers on a sustainable basis. In order to achieve the kind of harmony that will lead to this favorable outcome, we must understand all the aspects of our being, not simply the material ones. This emphasis on the concrete and away from understanding in depth has obvious consequences. We see evidence of our imbalance all around. The sharp contrast between the financial CEO who makes hundreds of millions and the plight of the average unemployed worker is only one aspect of this. We have seen in our culture a progression towards the greatest value being put on the work place. If young professionals do not spend 12 or 14 hours in the office, they fear that they will not advance. Others are made to spend 60% of their time on the road. As a result, people do not have time to develop relationships or spend time with their families. This can have terrible consequences, as research indicates that at least for the first three years of life a child needs the active care of their mother for their optimal development. If mom is a young lawyer and spends 60 hours a week in the office, her children are not getting what they need. This culture-wide dehumanization and workaholism is a major contributor to problems like addiction and depression. By living in a world where all of our hours are spent at the work place, we have lost our moral footing, or sense of what is of essential value. What did Mencius propose to cure this problem? He said that in order to find the central harmony, or to live according to the good sense within us which is the inward manifestation of the universal law, we need to find our lost heart. In order to find the heart, we need to live lives of self-cultivation. In the same way that our plants need the proper sunlight, soil and water to grow, we need to give ourselves what we need to grow a truly abundant, sustainable, socially responsible and meaning-filled economy. That means that we have to put the full force of our intellectual, emotional and moral force into developing ourselves. We need to live from a place of devotion to our own growth and the well being of the world. We need to work very hard, but only toward the end of true meaning and purpose. We do this, first and foremost by making a commitment to our own development, and doing something toward this every day. This is especially important for those at the top, who have a broader impact on our financial wellbeing, but is important for all of us, whether we are some small part of this machine that regulates our capital, or we are simply running the family economy. This cultivation is an act of what the Germans would call “Bildung.” Bildung means growth through an immersion in culture. We must devote ourselves to learning the inherited wisdom of all time, so that we can learn the eternal principles. We need to explore literature, art and music as much as we learn about economics and business. We need to balance our concrete ways of thinking by enriching our imaginations by spending time in the world of symbol through myths and tales. We all must learn how to best take care of our bodies, other people and our world. We need to learn about ourselves. Without a penetrating understanding of human nature, which begins with a process of self-exploration, as Alan Greenspan was to learn all too late in life, we can make gross errors of judgment about how people will act and behave. We need, perhaps most of all, to learn how to have intimate relationships. The only way to grow is to truly open ourselves to other human beings. This path of self-cultivation which has been known for centuries, is especially necessary for the world today. Everything in our world of work is changing. The world where people found security by working for one corporation for a lifetime is gone. Technology is changing so rapidly that by the time a new business model comes online it is already obsolete. Those people who will be lifelong learners and are most comfortable with change are the ones who are going to find success in this new world. The only security we are going to create is the control we take of our own work lives. We will be able to do this through continuously developing our intellectual and skill capital. Those of us who depend on old models will find themselves left behind. The people with the greatest imaginations, those who can envision the possibilities available in this new world, will be the ones who blaze trails and come out on top. Much of what prevents people from being able to change in these ways are old emotional injuries, starting at the earliest phase of life. We now have evidence that our earliest interactions have a profound influence on our capacity for learning, personal growth, change, imagination and the emotional self-regulation necessary to thrive in a world of continuous new demands. The only way to free our natural abilities for adaptation is to work on healing those wounds thorugh a process of self-discovery. In order for our children to thrive in this new world they are going to need optimal upbringing because the most rounded, emotionally healthy and creative people are the ones who are going to have the skills needed in this new world. In order to give our children this kind of upbringing, we need to heal ourselves. We need to widely disseminate the knowledge and skills for self-healing so the greatest number of people can benefit from this understanding. What will our culture look like if we develop ourselves in a way that brings us into greater harmony with the heavenly mandate? Actually, our technology can be a help in this regard. One great secret of this world where we are married to our work is that most people spend all too many hours in the workplace, but they spend very few of those hours actually being productive. For many, more hours are spent on Facebook than doing work. People hate being trapped in their offices, resenting time away from the rest of their lives, and act out by screwing around. We now have the technology so most people can do a great deal of their work from home. We need to re-vision work. People can work from home, creating their own flexible hours so they can have time to drop off the kids at school, help them with homework, and tuck them in at night. People will be more productive because they will be happier and their spouses and children will be happier, too. This can also be a significant aid in shrinking our carbon footprint and reducing global warming. How much fossil fuels will we save if every single person who commuted to work eliminated one or two days of driving their car? As a society, we show what we value by how much we are willing to pay for it. Another change that we will see if we cultivate ourselves is that we will give less value to the work of Wall Street. For our culture to be the richest it can be, more than financiers and lawyers, we are going to need transformation leaders, teachers, therapists, coaches and health counselors. These are the people who are going to give us the tools necessary to be life-long growers. We will put more of our resources into these areas because we will see that social value is economic value. People on Wall Street and in law offices will be paid less, and change agents will be paid more. These difficult times are the result of great changes in our society. If we are able to recognize our mistakes and correct them, and see the great potential in this time of transformation, there is great promise ahead for better lives for all of us. It is going to take courage, optimism, faith, perseverance and tremendous effort to come through this transition. These are the qualities that reside in the heart. The good news is that we all share those common attributes. All we need to do is find our hearts through a process of self-cultivation and we will have everything we need to not only find personal success and well-being, but to make the world a better place as well.